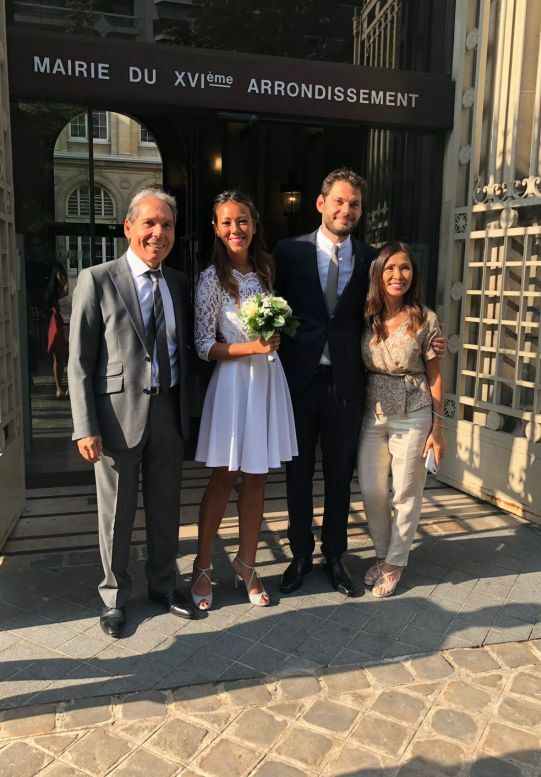 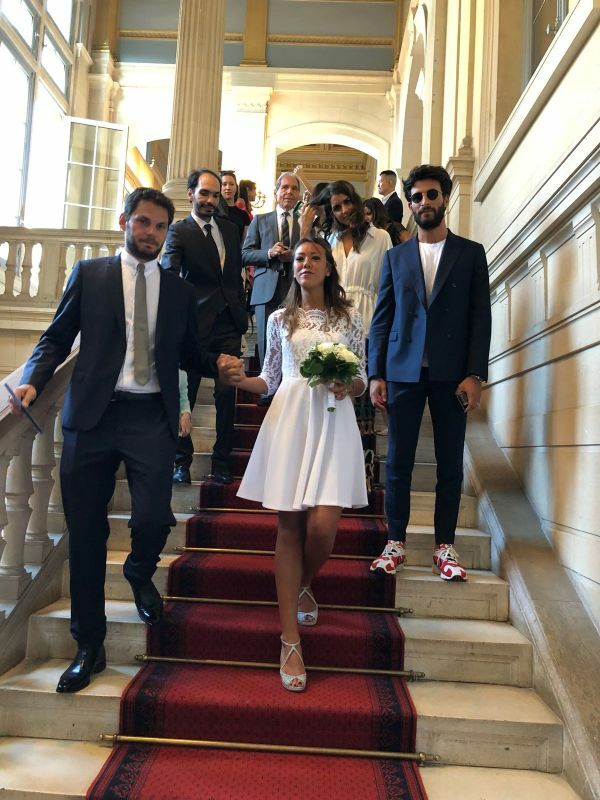 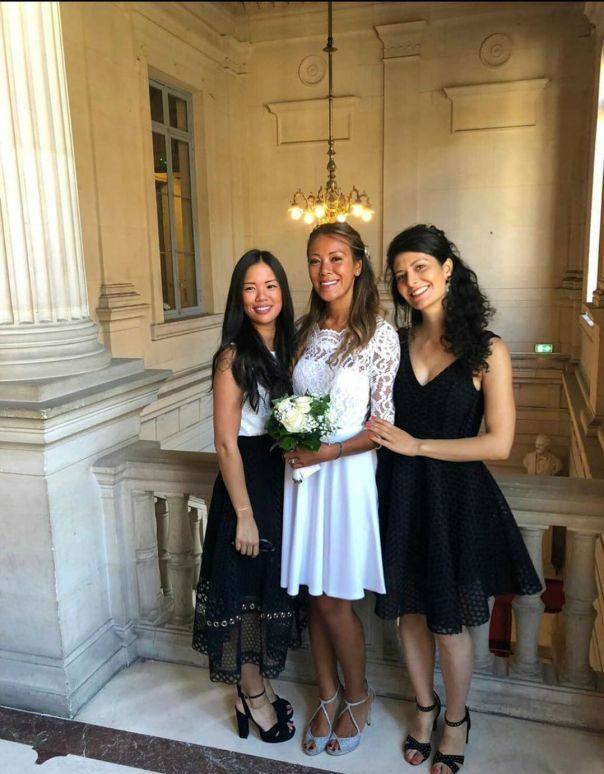 Julie and Jeremie got married in a small ceremony at City Hall in the 16th arrondissement, Paris. 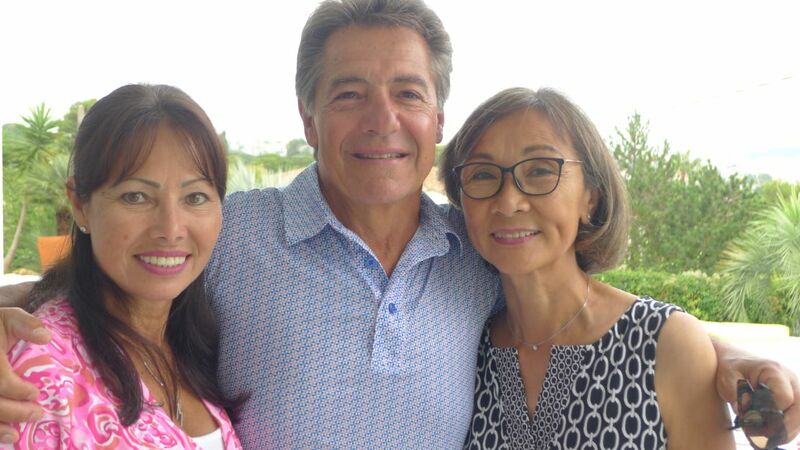 Jeremie's dad, Julie, Jeremie, and Cang, Julie's mom. 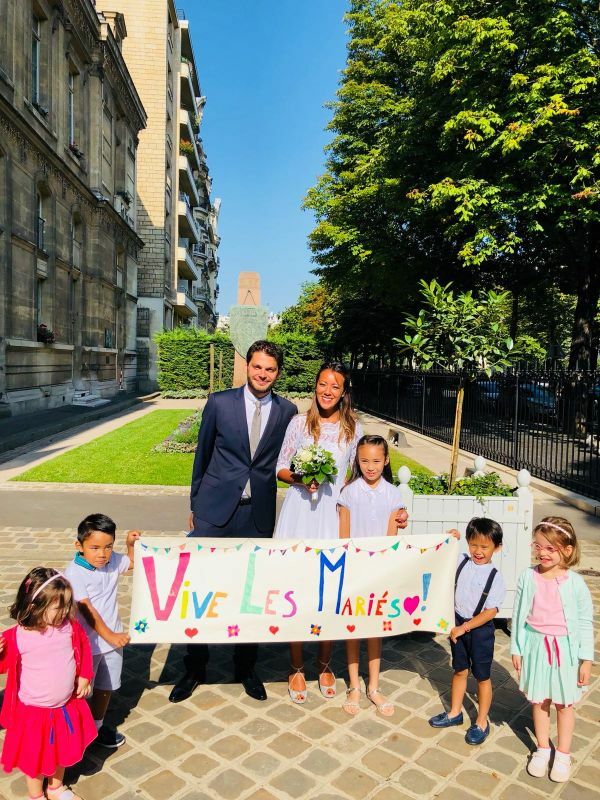 Vive les mariés! 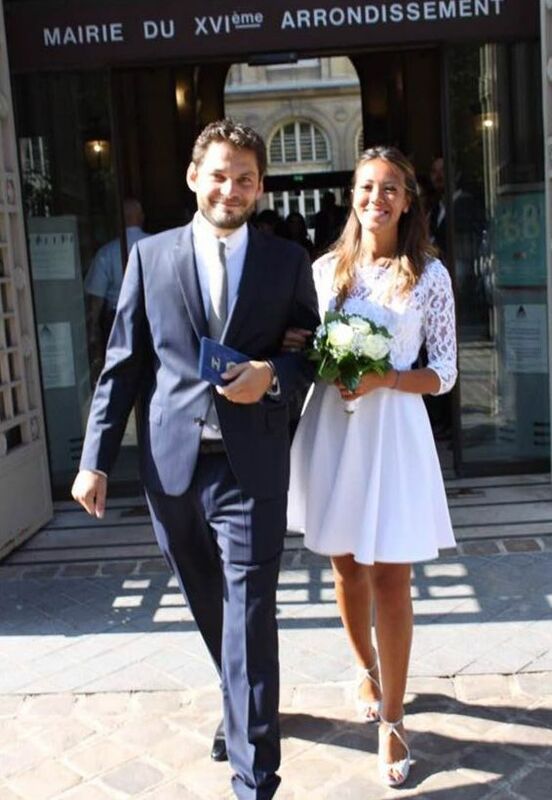 -Hooray to the newly wed! 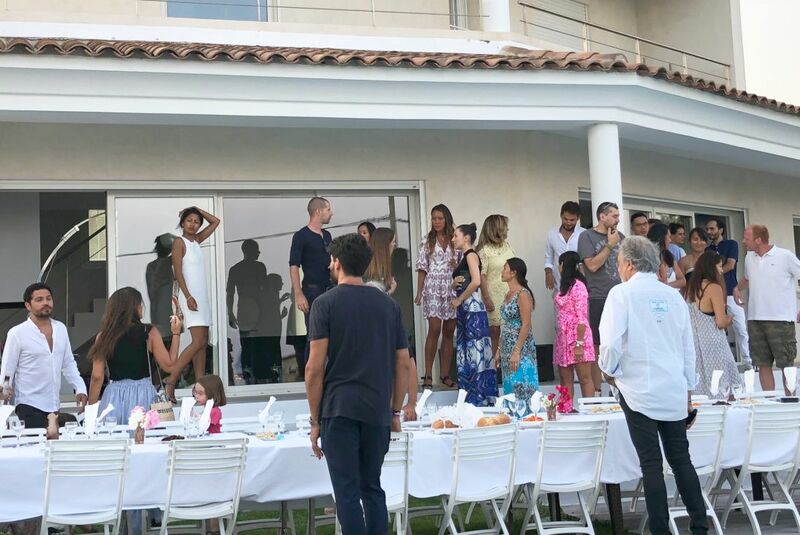 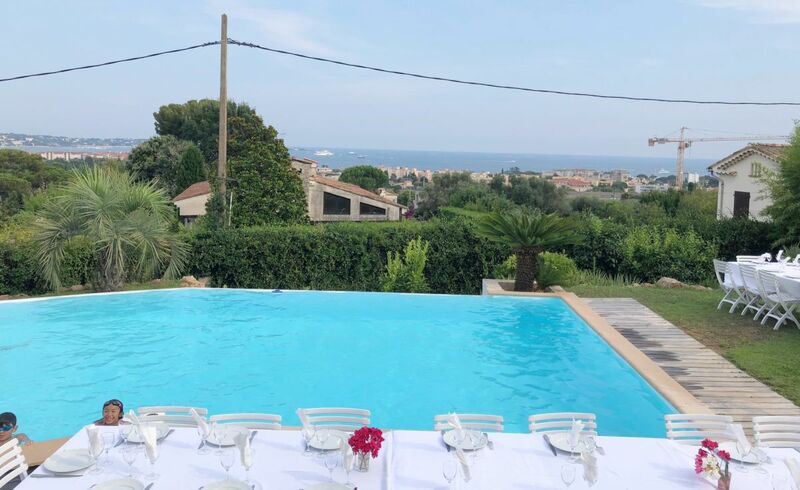 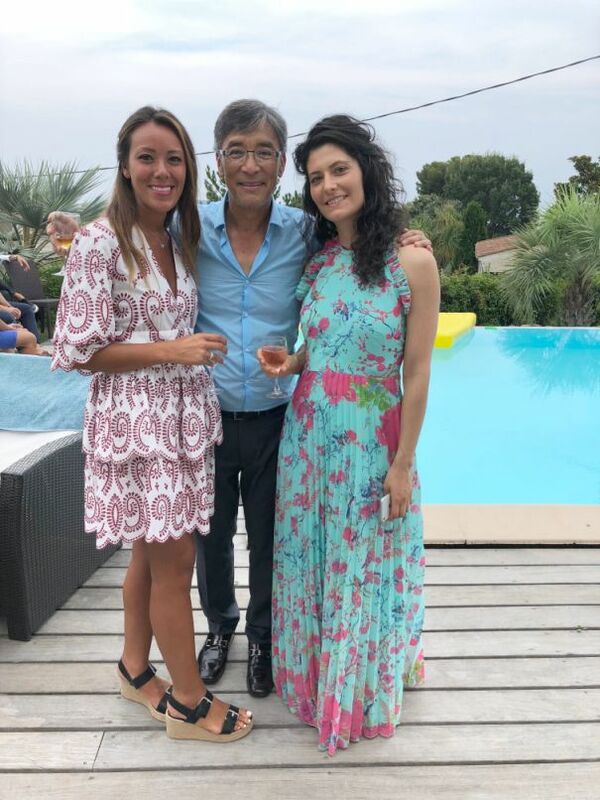 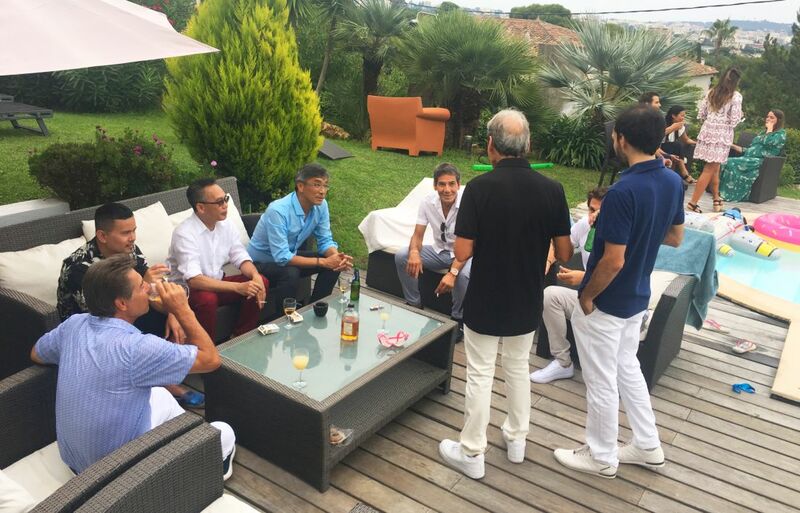 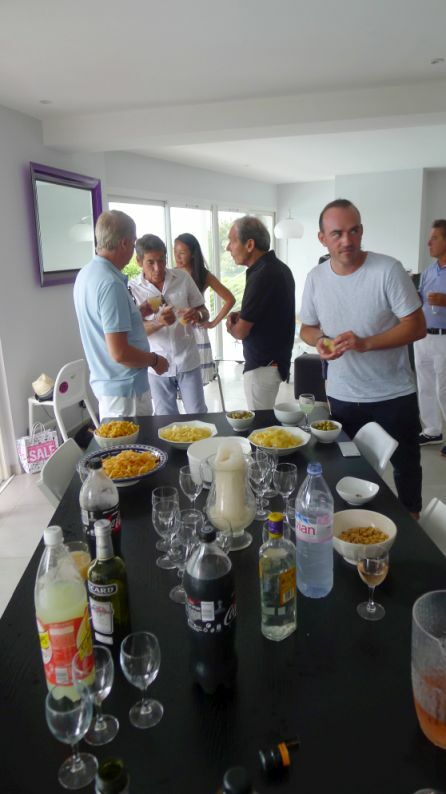 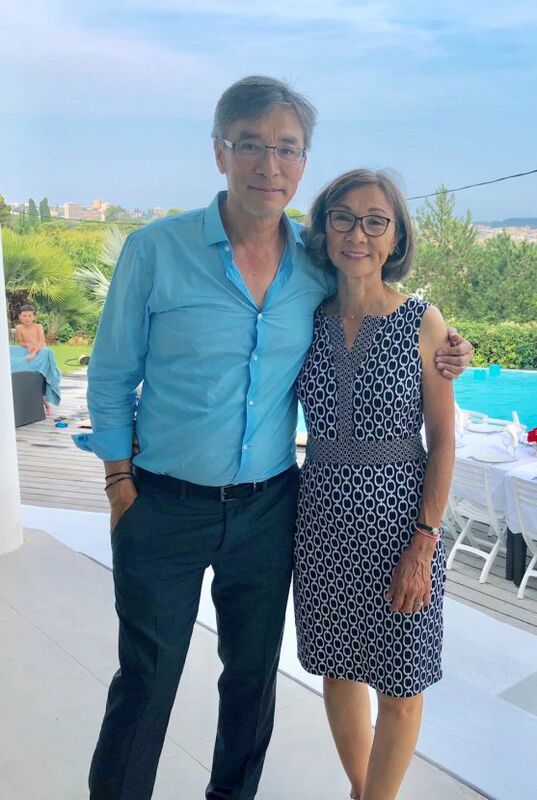 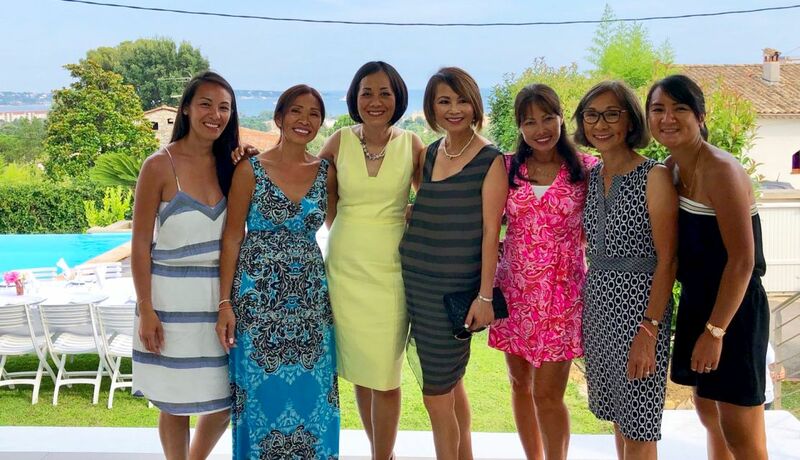 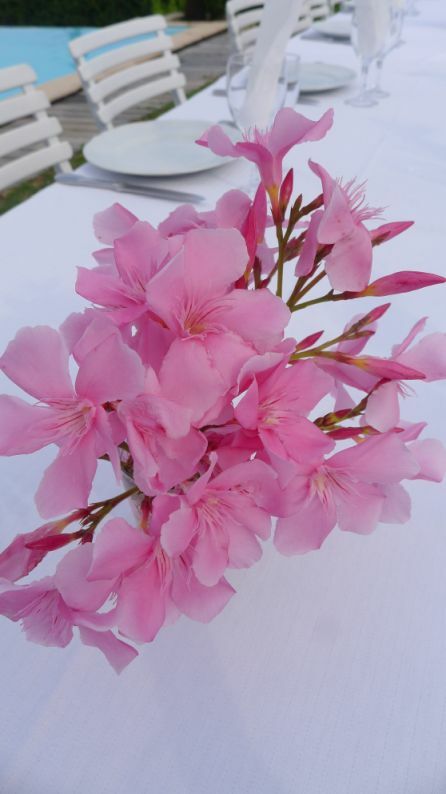 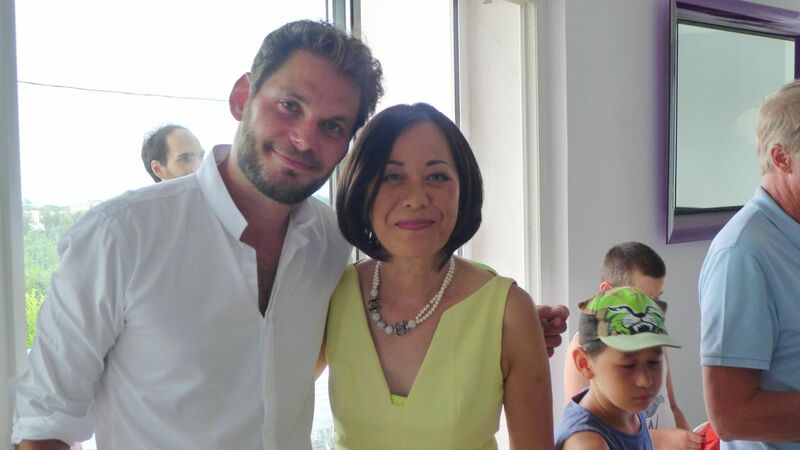 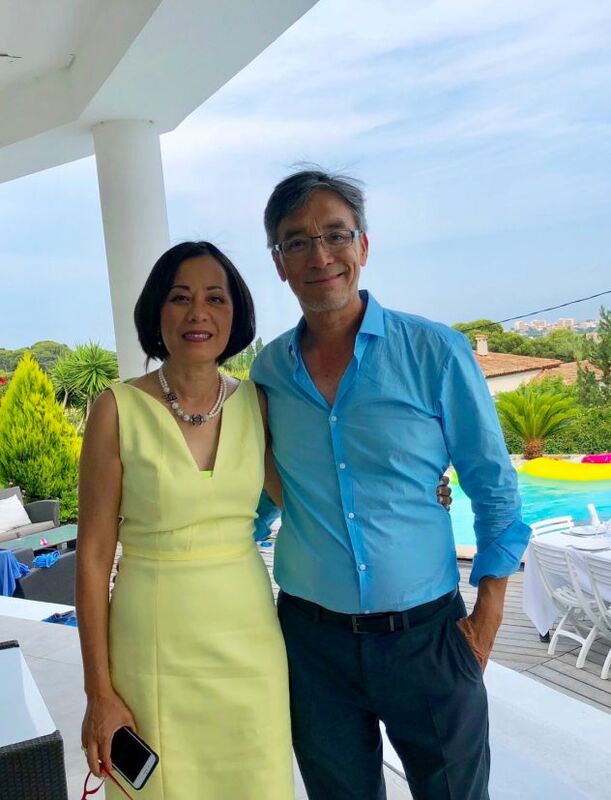 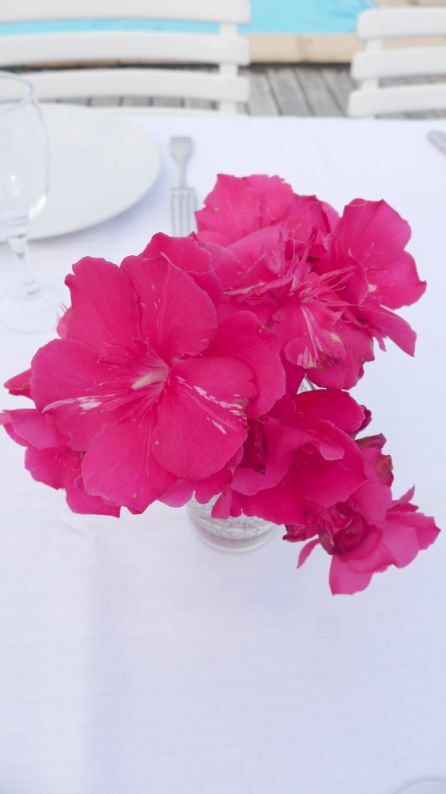 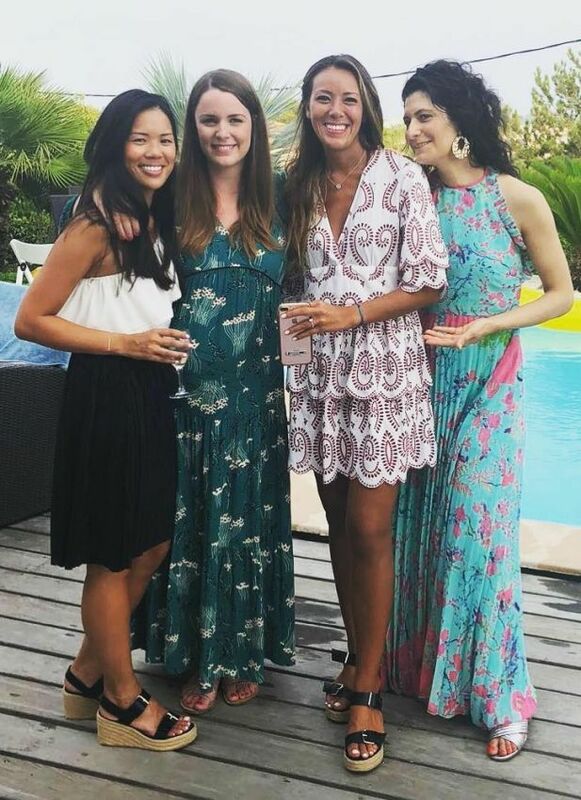 A week later, Julie & Jeremie are having a welcome party for family members and close friends at a beautiful villa they rented in Antibes in the south of France. 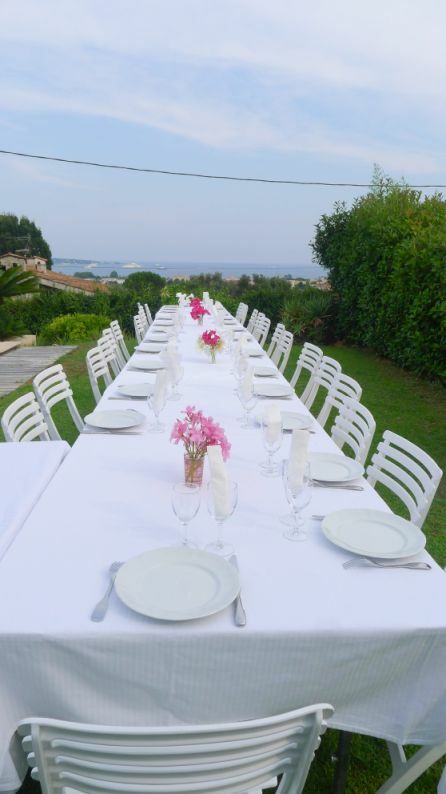 The villa is perched up a hill over looking the city and the Mediterranean sea. 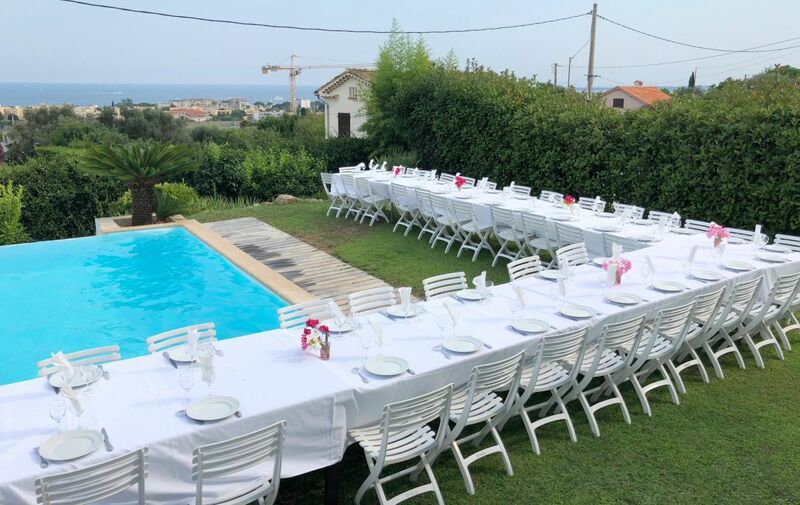 Tables and chairs are set up for dinner. 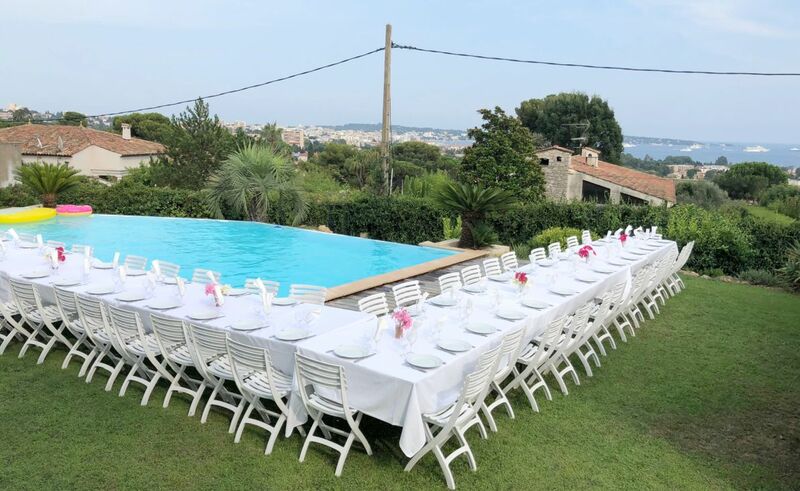 Tables are set up next to the infinity pool-pretty cool! 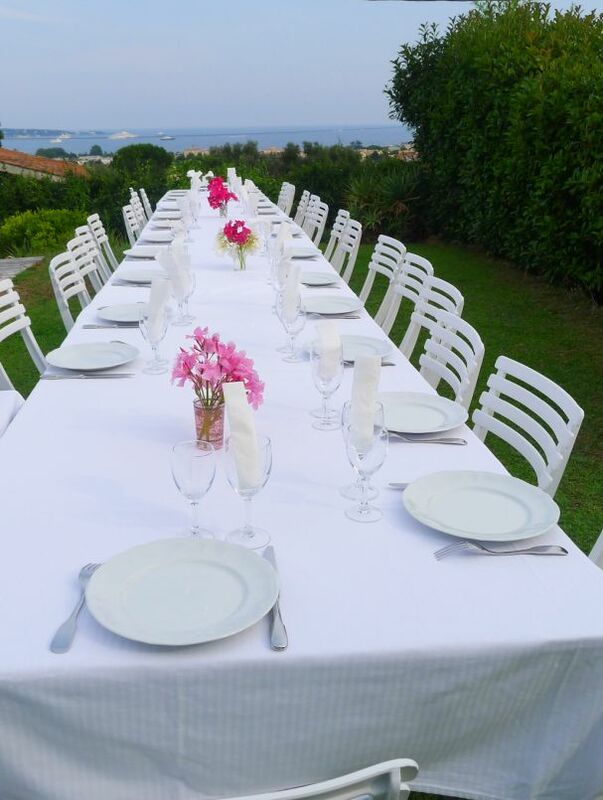 Guests have a great view while dining. 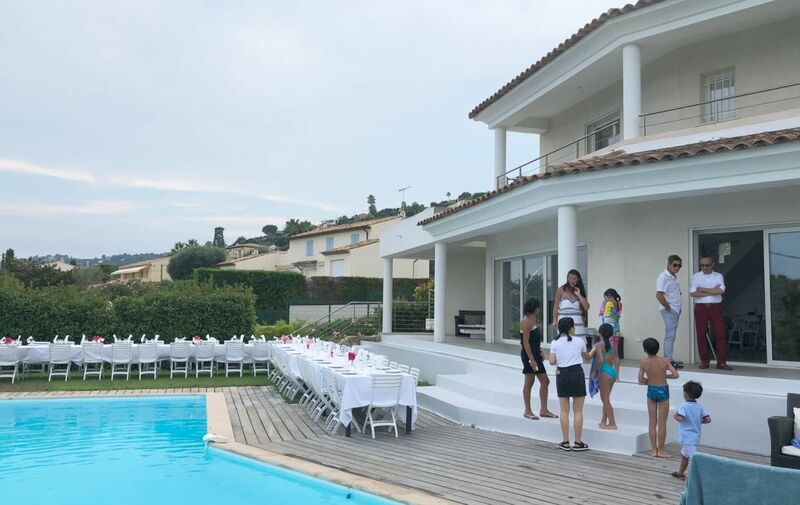 We were the first few to arrive at the villa. 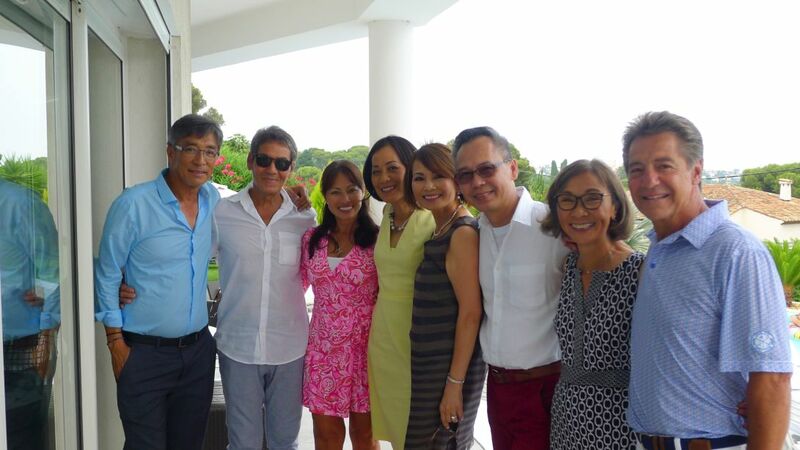 Tutu, Cang, Me, Loan, Dung (George's sister), Chi Be, and Catherine. 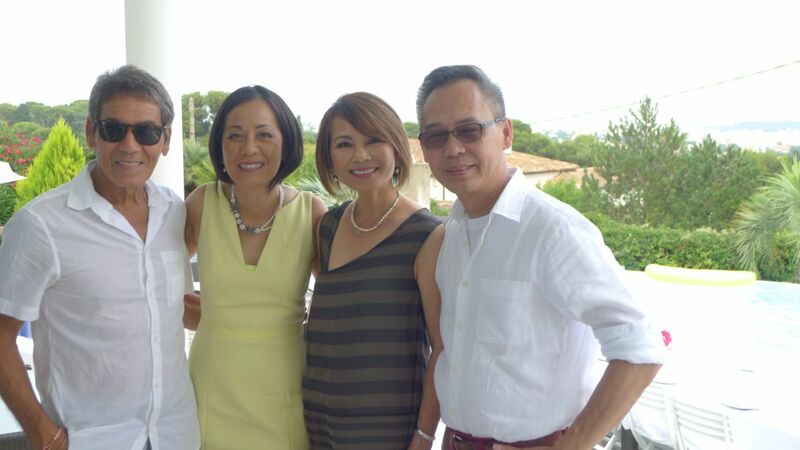 Dung, her husband and Chi Be. 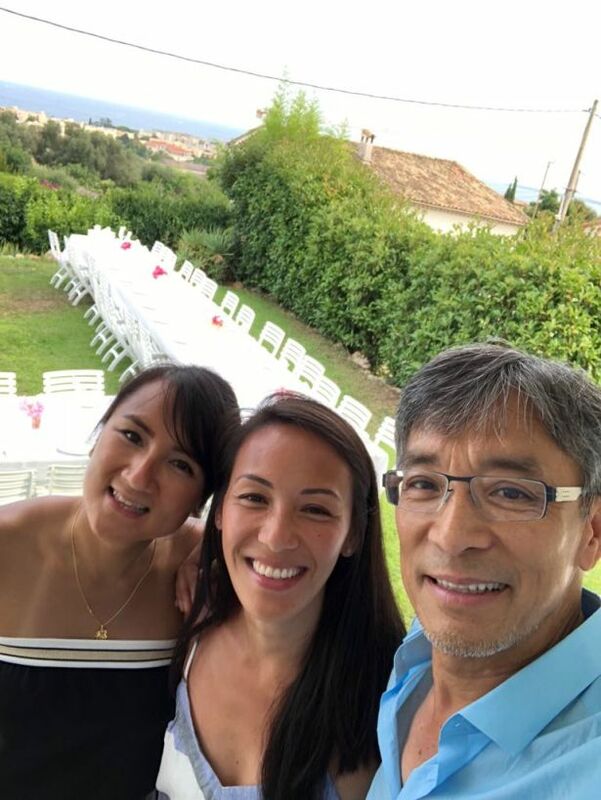 Hoa and his nieces: Tutu and Catherine. 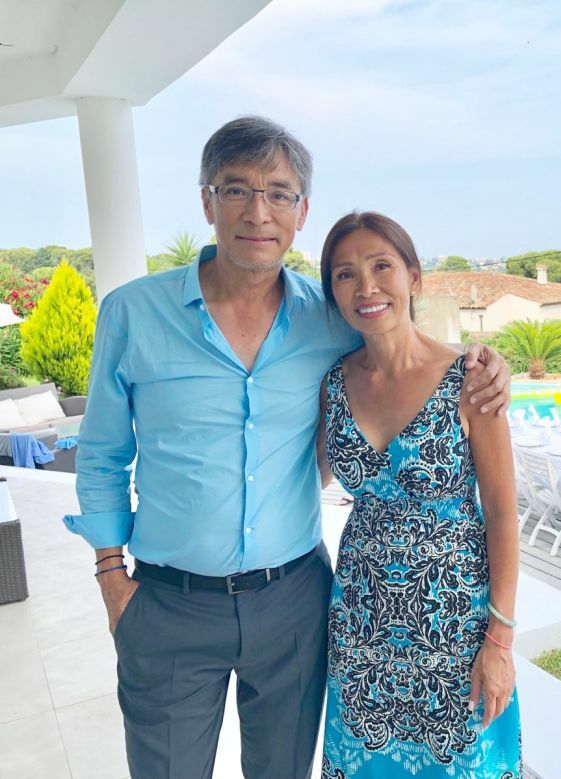 Hoa and his sister Cang. 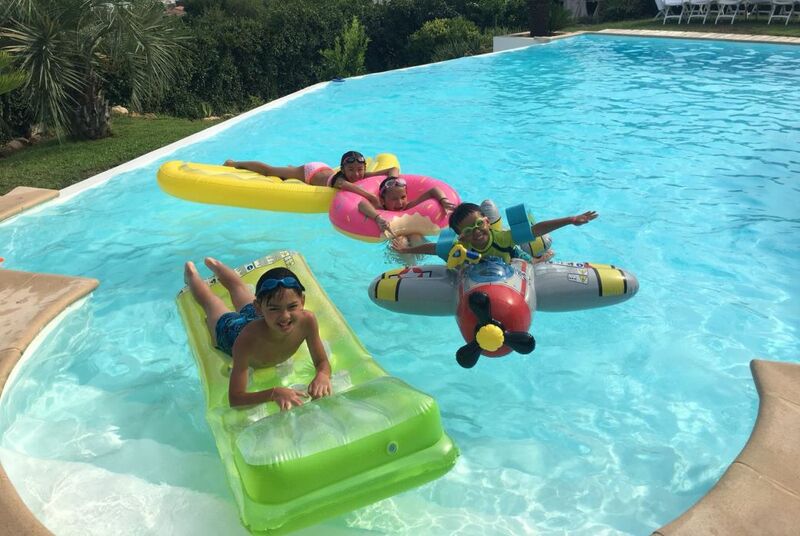 It was a very hot day so the kids are really enjoying the pool. 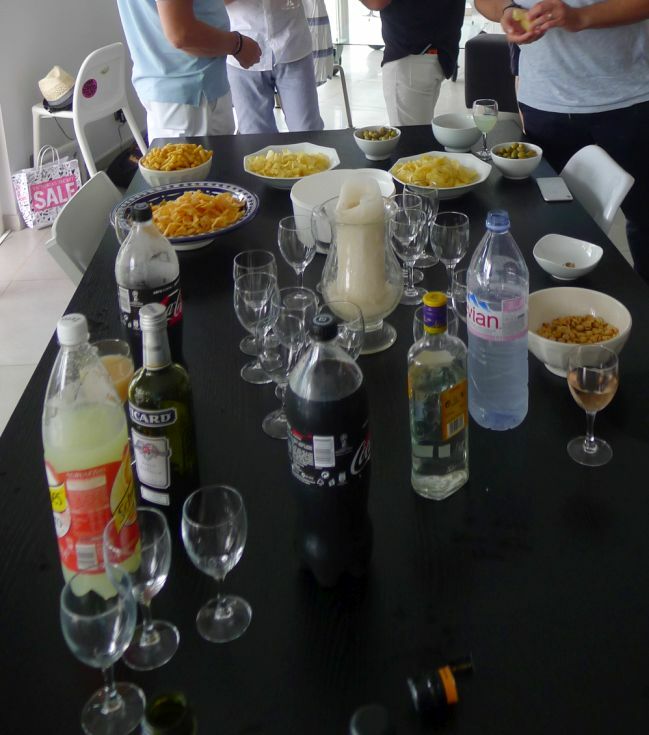 Snacks and drinks in the main living room of the villa.